On 5/10/2016 we cut over to a new broadband Internet access service, switching from Telstra 8Mb/s ADSL to iiNet NBN 12Mb/s. Over some years, I have run an automated file transfer to measure the speed of our access service. The tests are done between 6:00 and 22:00, I am interested in performance during the times I want to use the service, and less interested in times when I would usually be sleeping. 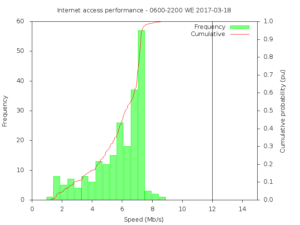 One of the performance measures is speed, it seems simple enough especially when it is talked about by politicians and promoted by RSPs and NBN’s advertisements. So, how does one characterise the speed. 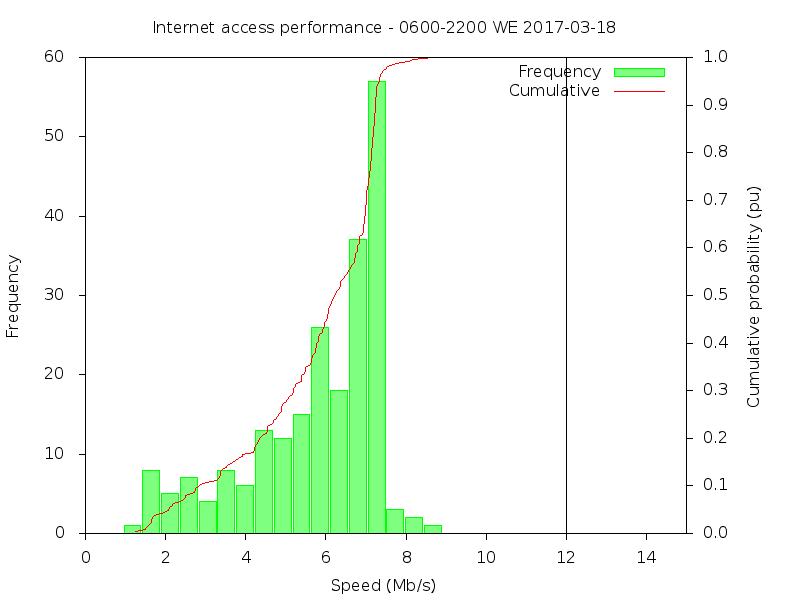 People like to think of simple concepts like ‘average’, but let us look at the distribution of speeds. 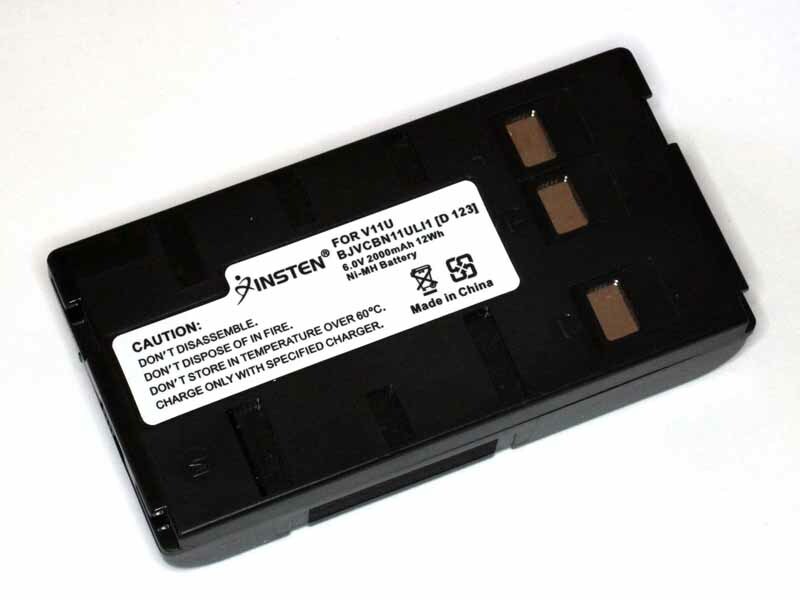 On the back of failure to buy decent BN-V11U batteries for my theodolite (Chinese BN-V11U NiMH replacement battery), A fall back was to fabricate a battery that would fit in the battery compartment. 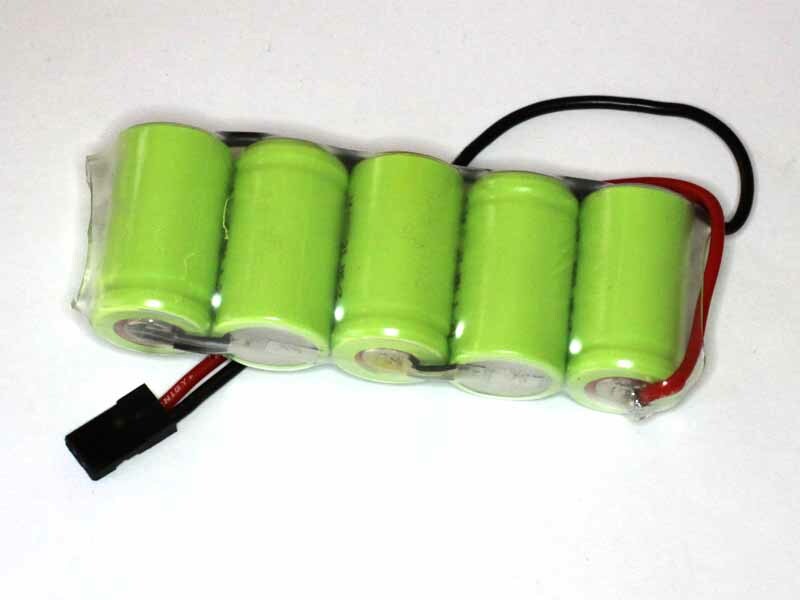 My theodolite uses the once common BN-V11U NiMH camcorder battery. 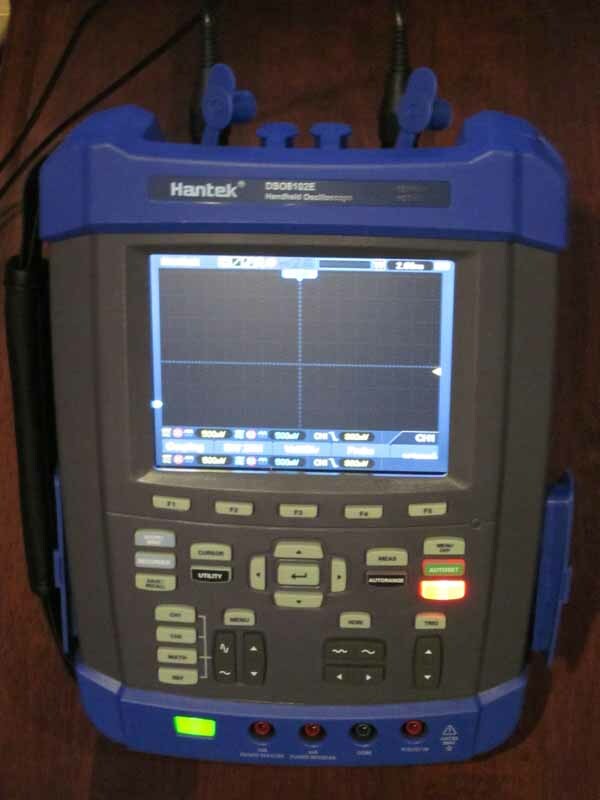 This article is a brief review of some issues that were found with initial testing of a Hantek DSO8102E two channel 100MHz hand held oscilloscope. The DSO8102E is a member of the DSO8000 series (DSO8060, DSO8070E, DSO8100E, DSO8150E, DSO8200E), and shares most specifications across the series. 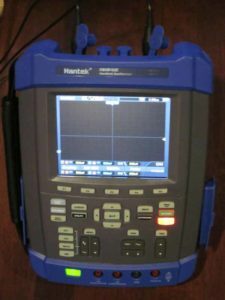 The specifications are very impressive, and price at just under $1000 for a Chinese brand seemed reasonable (hand held oscilloscopes are expensive compared to bench oscilloscopes). 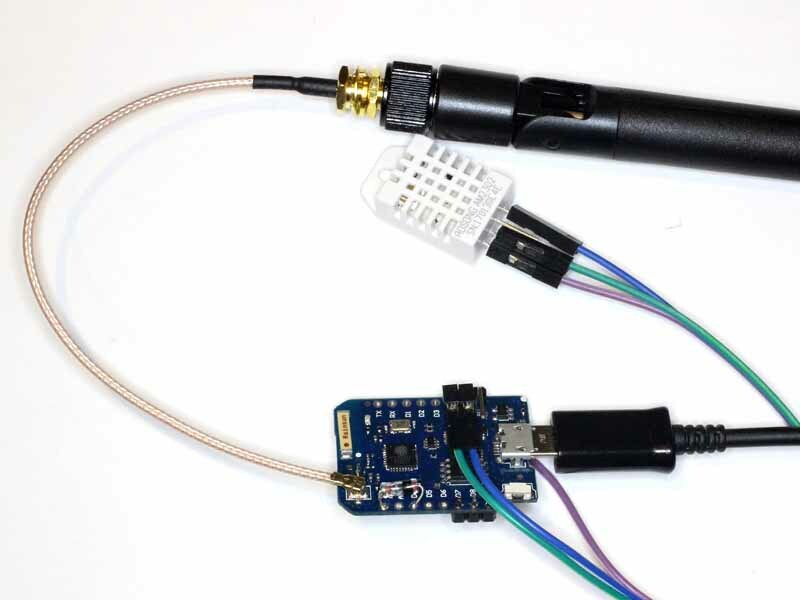 This article documents a first project with the Espressif ESP8266 in its third evolution (based on ESP8266 IoT DHT22 temperature and humidity – evolution 2). 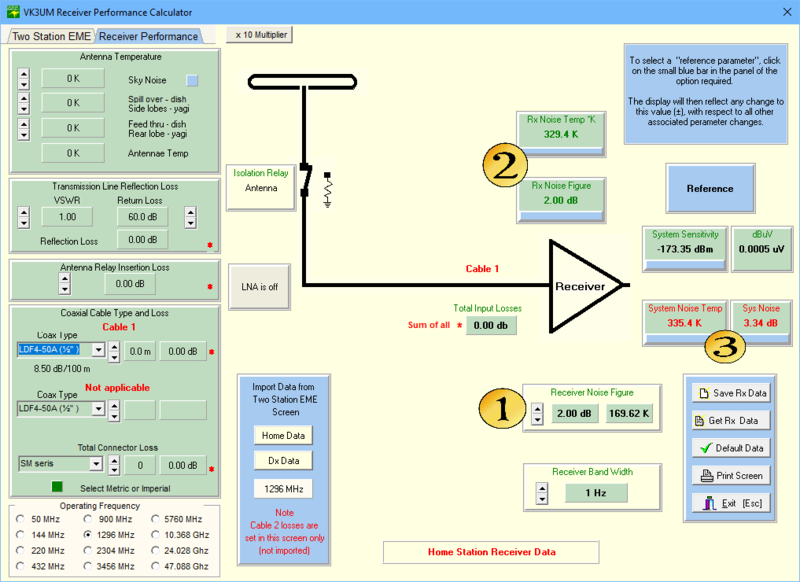 The objective is a module that will take periodic temperature and humidity measurements, and in this evolution publish them using a RESTful API. 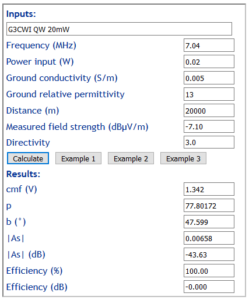 This article continues on from Implementation of G5RV inverted V using high strength aluminium MIG wire documenting impedance measurements and voltage calculations. Impedance was measured with an AA-600 looking into 500mm of RG400 then the Guanella 1:1 balun, then 9m of fabricated transmission line as described in earlier articles in the series. The balun is located at the antenna entrance panel and the coax shield is grounded via that panel (ie the normal operating common mode current path exists). A correspondent wrote about trying to reconcile by G/T worksheet with EME Calc. Many times I have tried to validate it and run into problems. At one time I reported them to the author, but they were never acknowledged, much less fixed. The specific problem on this occasion relates to the receiver performance tab. This article continues on from Workup of G5RV inverted V using high strength aluminium MIG wire and describes the implementation. Richard (G3CWI) published an interesting blog article Comparison of groundwave performance of Small Transmitting Loop and Quarterwave GP summarising a recent WSPR test on 40m over 20km distance. 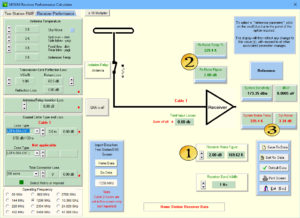 This article is a walk through of the expected WSPR receive S/N for the case of the 20mW tx on a quarter wave vertical. absorption of energy in heating the soil. Item (1) is simply inverse square law effect, and Norton provides us with several approximations for estimating (2) from Sommerfields work. 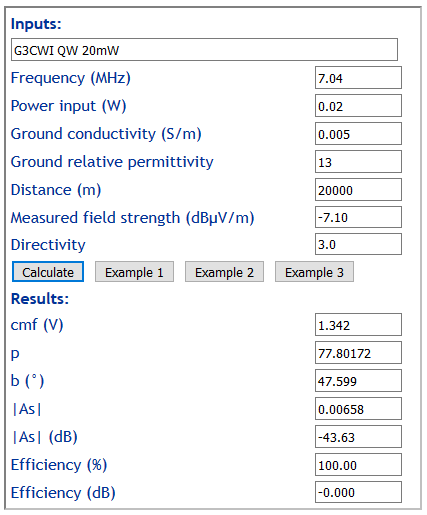 Calculate efficiency of vertically polarised antenna from far field strength uses Norton’s f5 approximation for ground wave attenuation. 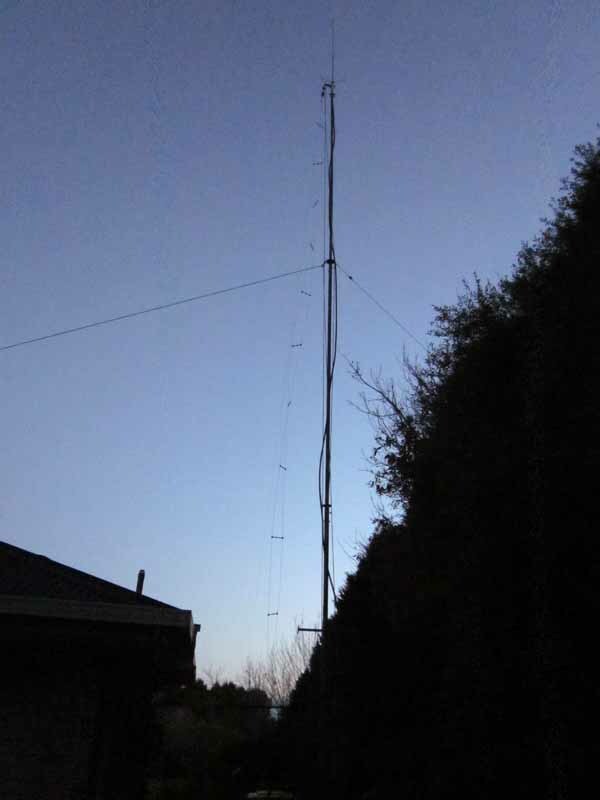 Exploiting your antenna analyser #28 gave an example of use of one method to resolve the sign of reactance comparing measurements made with a slightly longer known transmission line. 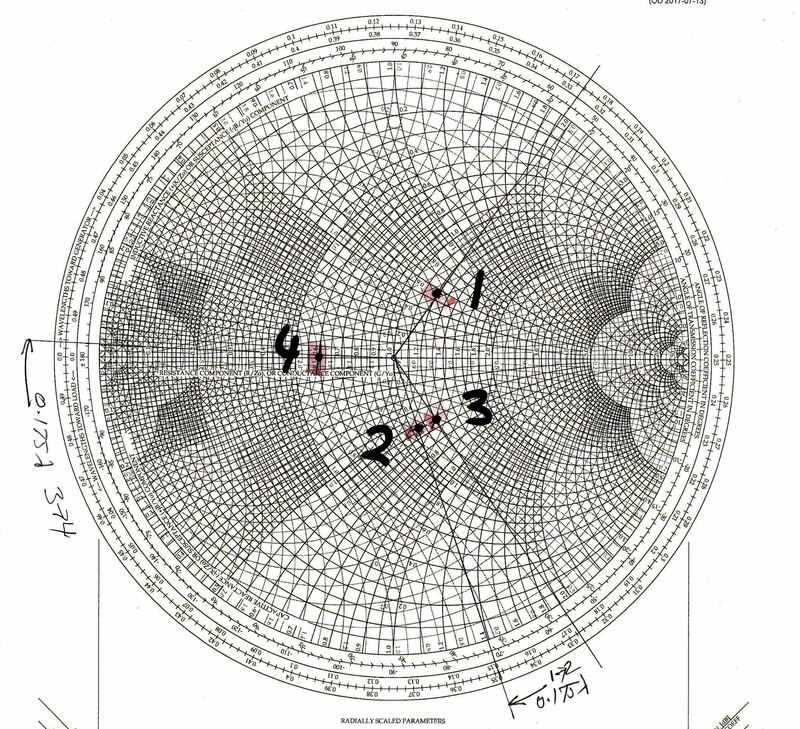 One way to predict the input impedance to the longer line is using a Smith chart. 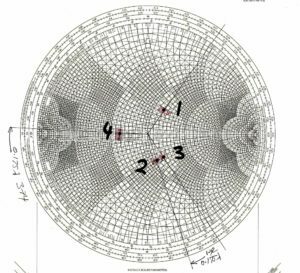 This article presents a Smith chart prediction of the expected input impedance of a 8′ section of RG8 at 14.17Mhz (vf=0.66, length=0.175λ) for the cases of Zload being 60.3+j26.9Ω and 60.3-j26.9Ω. 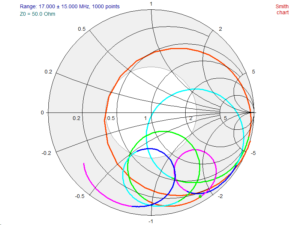 The impedance is normalised to 50Ω and plotted on the Smith chart, point 1 above. 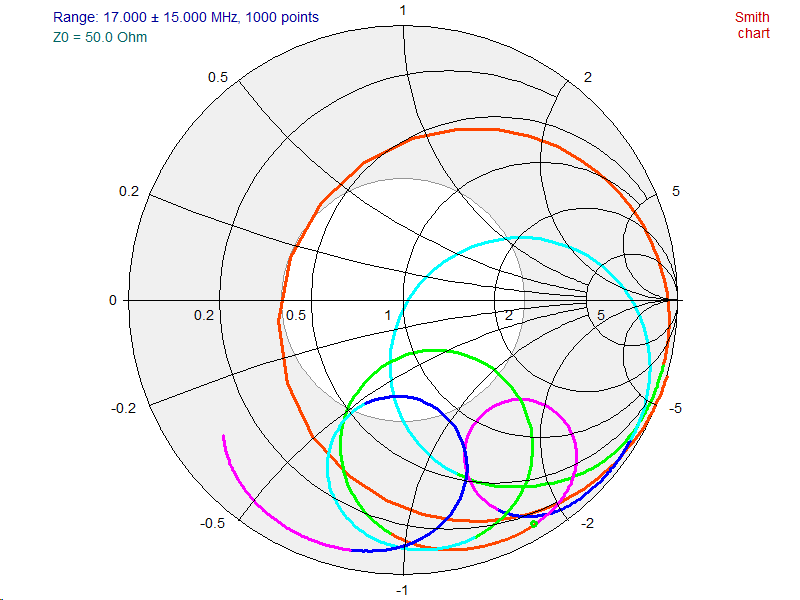 A radial from the centre through point 1 is drawn to the edge of the chart. Another radial is drawn a distance towards the generator of 0.175λ and using a pair of dividers or ruler, point 2 is plotted on that radial at the same distance from the centre (same VSWR) as point 1.